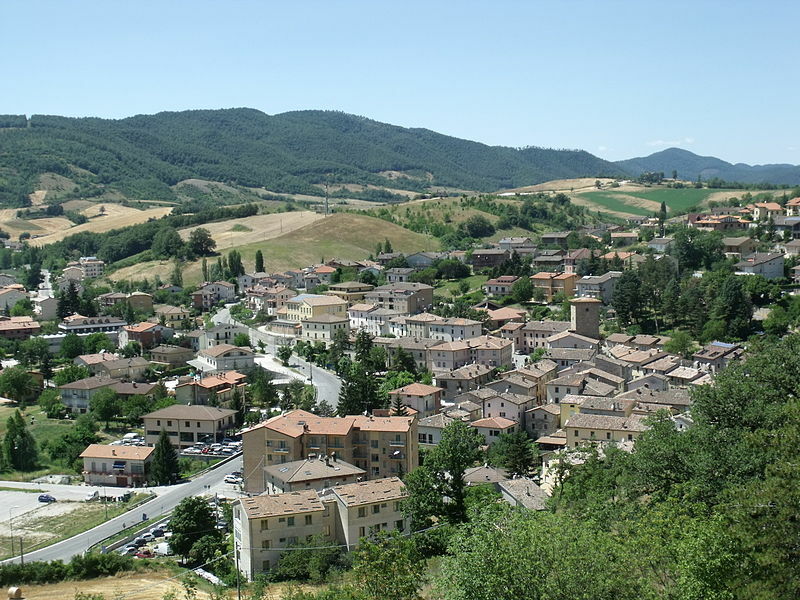 What to do on holiday in Gubbio? We suggest a small trip, just twenty minutes away. Near Gubbio the road that passes the Bottaccione Gorge between two deep walls goes up to the Madonna della Cima Pass and goes down to Scheggia, anciently named Schisa or also Mutatio ad Hesis or ad Ensem. Today it remains only a ruin of the bridge (1789) called “a botte” due to the fact that it offered refuge to the brigands who populated this area in the past. In the olden days the population of Umbri lived in this woody territory where they built a temple for their god named Iovis Penninus. In the Middle Ages Scheggia belonged to Gubbio and then to Perugia. From 1396 it was ruled by the Montefeltro’s family and later by the Papal State. When Scheggia was ruled by Gubbio and Montefeltros it was a fortified outpost. So it became a bastion to protect defending all the surrounding area. At the centre of the village there is an ancient, squat tower facing the war memorial. Until 1878 Scheggia and Pascelupo were two different municipalities. Then they were joined together. A 1957 document signed by the Italian President Gronchi testify it. 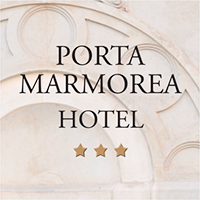 HOTEL "PORTA MARMOREA" is located in the Medieval old town of Gubbio, a unique and special place. You can find our hotel at 12, Via Mazzatinti, also known as "Calata dei Ferranti", one of the most important stop during the famous "Race of Ceri" ("Corsa dei Ceri"), every year 15th May.